NOTE: This is week 4 of our Writers’ Blog Hop. The theme this week is advice I’d give to a newbie writer. Click on the link below to check out what other writers have to say about the topic. It wasn’t too long ago that I stood in your shoes. Although I’ve been an avid reader who enjoyed writing for most of my life, I never considered myself a writer until after I attended my first writers’ conference. The best way for me to share advice with you is to tell you a bit about my personal journey as a writer. I entered The Word Guild’s God Uses Ink contest (Now called Fresh Ink Novice Writing Contest) in 2009 and won first prize in my age category. The prize was free registration for the Write!Canada Conference. I stepped out in faith, booked my flight and attended a conference where I knew no one. I still remember feeling like I was walking in a fog on a dark night. I knew I was supposed to be at the conference, but I had no clue what to do next. People at the conference were friendly enough, but most of them were from Ontario. I wondered what I would do for support after the conference. I didn’t think I had time for a blog, so I joined Twitter and began using it as a mini-blog. I also started a personal Facebook account and enjoyed the opportunities to interact with my friends and family. A few months later, I decided to start a blog as a way to share information from my work as a school board trustee with Northern Lights School Division No. 69. One of the most helpful books I read was Writer Mama: How to Raise a Writing Career Alongside Your Kids by Christina Katz. One piece of advice she gives is to research markets, write, submit, and start over. In other words, you don’t sit around waiting to see if one piece is accepted before you start on another piece. And if your piece is rejected by one market, you do some more research and send it out again. I started my journey to publication with the winning entry I wrote for the Word Guild contest. 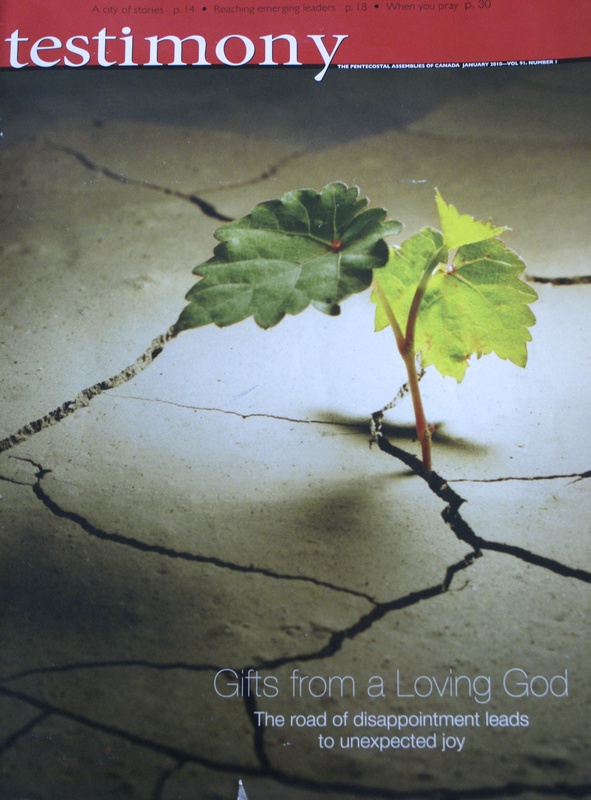 It took several months (and many rejections), but my memoir piece entitled Gifts from a Loving God was accepted by Testimony magazine in November 2009 and published in January 2010. It was subsequently reprinted by two Sunday School papers. Something else I found helpful was Brian Henry’s Canadian Writer’s Contest Calendar. I purchased my first copy in 2010 and began entering contests as a way to learn how to follow writing guidelines and also to receive honest feedback on my writing. The contest I enjoyed the most was Fiction in Five, where I won several prizes and had a few of my short stories published. 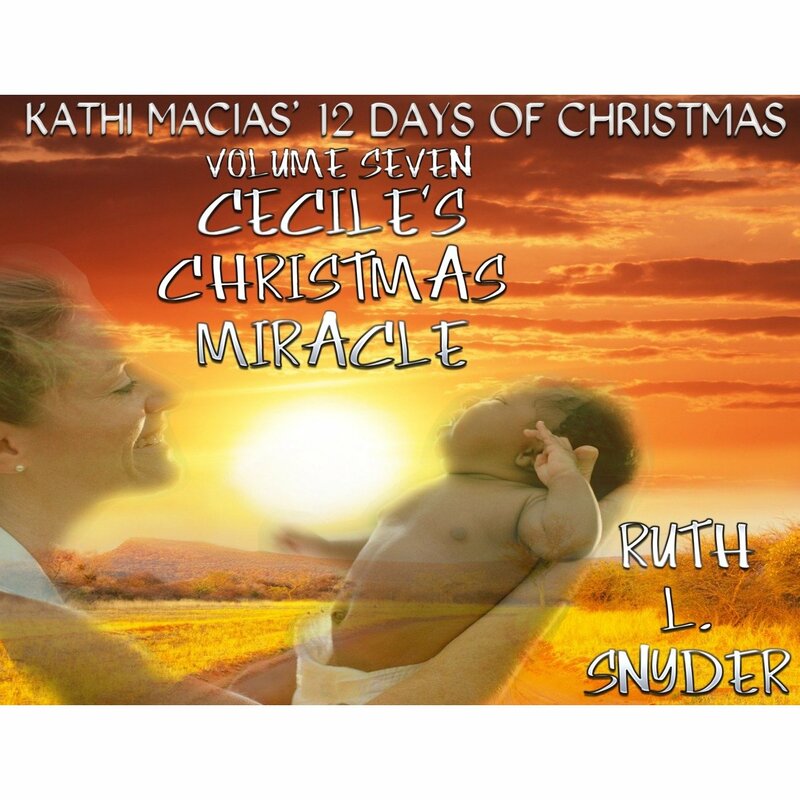 One of those short stories became the basis for my novella, Cecile’s Christmas Miracle, which was just published in December 2013. Although I live in a fairly remote rural area, I’ve been able to take advantage of several writing courses which have helped me hone my skills. The Christian PEN offers courses throughout each year, where lessons are sent by e-mail. Class members are added to a Yahoo listserv and able to send in homework assignments, ask questions, and interact with each other. Long Ridge Writers’ Group and the Institute of Children’s Literature offer writing courses where you receive materials in the mail and may either submit by mail or e-mail. In these courses you are matched with a published author who acts as your instructor and gives you detailed feedback and suggestions. My writing journey continues with many ups and downs. My prayer is that I’ll be faithful to God’s calling on my life. The rest is up to Him. Thanks, Ruth. You’ve got in nice and early this time! I’m still debating whether to sit this round out, since I don’t feel in a position to offer advice about writing. I’m still a novice at this game! Thanks, Lorraine. I don’t feel like an expert either, but shared what I’ve found helpful in my journey. Lorraine, it’s not too late to jump in for this round. No pressure, but you do have something to say if you want to. What’s helping you as a novice? What is hindering you? What advice should others never have given you? You don’t have to be a seasoned “expert” to share your story like Ruth did. Thanks for the reminder Ruth! You’re welcome, Patti. I’m looking forward to learning from everyone! So glad you shared this today ! I have really struggled with the dark fog and needed to be encouraged to just write ! I really didn’t consider myself a writer at all and now feel I need to share as God leads me about Womanly issues and fiction seems the easiest way for me to do just that. Linda, Thanks for stopping by and leaving a comment. I’m glad you found my post helpful. May God continue to lead and guide you in your writing. I look forward to hearing from you in the future. Bonnie, that’s interesting. I’m looking forward to reading your post. The blog hop has been a great way for me to learn from other writers. Something that struck me was how far you have come in such a short time. I guess it goes to show that when you let god be your guide, anything is possible. Tracy, thanks for your encouragement. I am grateful for God’s leading and empowerment. He’s the one who gifted me. I’m just trying to be obedient. What great resources. I will be back here to check them out. Great advice for even seasoned writers!!!! Thanks for reminding everyone about community. Writers tend to be introverts but we need to connect with others about our craft. I’ve written about linking with other writers, too. Another good topic, Ruth, and a useful one. Could I please have a link to Testimony Magazine? Here’s the link to Testimony Magazine: http://www.testimonymag.ca. It’s published by Pentecostal Assemblies of Canada. Thanks Ruth. Are there any people who need more encouragement to just do what they’re called to do than writers? Thanks for all the great advice! It’s probably a good thing when we start out that we don’t know how hard we’ll have to work as a writer. What have you found the most difficult or frustrating in your journey? The social media aspect. I didn’t even think about it until my book was picked up by a publisher. Then I jumped into the marketing tornado and I’m still trying to orient myself. I can only imagine what it’s been like for you to try to build a platform on social media in such a hurry 🙁 It takes a lot of time and energy to get to know how each strand works. Keep taking one day at a time. I hope your tornado comes to an end soon! Ruth this is one of the most important ones for me. You said, “If God has called you to write, be obedient and walk through the doors He opens for you.” This sentence really speaks to me. Writing is a gift from God and I thank Him for that. But sometimes, I’m so busy doing my own thing that I forget what He want me to do with my writing. Thanks for the reminder. I love the way you list the steps a writer needs to take, from writing a book to getting it published. Thanks for sharing. Thanks for your encouragement. You’re right. Life is busy and it’s very easy to smother that “still, small voice” we need to listen to. I’m glad you found my post helpful. Great advice, Ruth! I’ve been attending The Word Guild’s annual Write! Canada conference for 11 years now. I still continue to learn something new every year. What year did you attend, Ruth? Have we met in person, or just online? I attended Write!Canada in 2009. I don’t remember meeting you there, but it was such a blur for me I don’t remember much. I’m looking forward to this year’s conference! Who were the plenary speakers that year, do you remember? I missed the year Phil Callaway spoke. (Glad I’d heard him at InScribe’s Fall Conference in 2000 — he’s a hoot). Can we plan to sit together for a meal this year and chat? The comment to start on a new piece instead of sitting around waiting for an agent to call is so true. You have to keep moving forward (Dory Finding Nemo). what i like best is that you decided to go out and do what you wanted. a lot of times, people are held back by insecurity, failing before they ever get started. it just goes to show that if you’re meant for something, it’ll happen, you just have to trust yourself. Fear does hold us back way too often. We need to step out, do our best, and trust God for the results. Good advice! I think that one piece of advice that we might not think about is PRAY! It’s good to get advice from a veteran. You may not consider yourself to be one, but you are much further on this writing journey than many of us. Thanks so much for the great advice and encouragement! I’m glad you found my post helpful. We all need to encourage and cheer each other on in our writing journeys. Thanks for stopping by and leaving an encouraging comment for me.